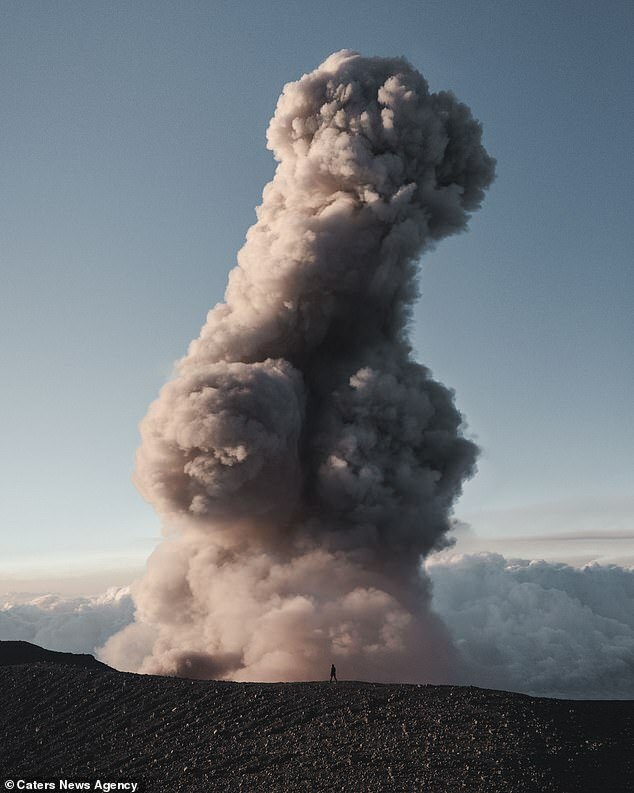 This volcano appears to have erupted into a very rude shape in Indonesia. 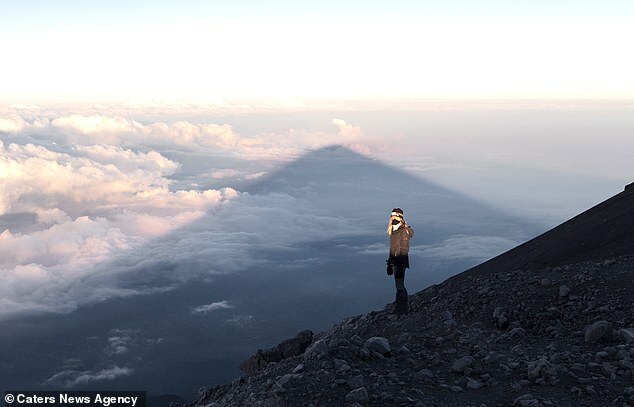 Two tourists said they saw ash from Indonesia’s highest active volcano, Semeru on the island of Java, transform into the phallic shape as they were climbing the mountain. 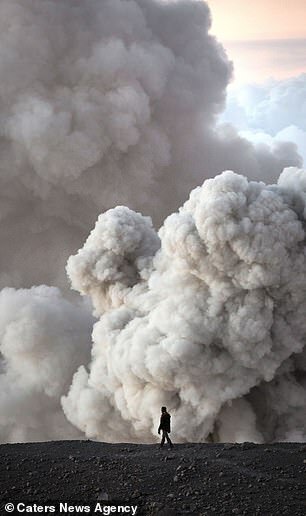 The quickly rising smoke meant the unusual formation ‘only lasted for less than a few seconds’, they said. 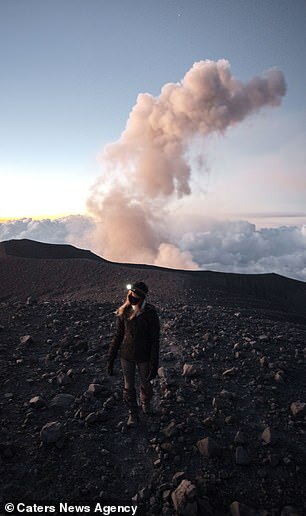 Josiah Gordon, 23, was climbing the Java mountain with his friend Megan Hassa when the eruptions began. After a two-day hike to reach the top of the 12,000-ft mountain, Josiah and Megan were admiring the view below when the lava began spewing into the air only a few hundred feet from where they were standing. But the pair’s awe quickly turned to blushes after the smoke cloud apparently transformed into a phallic shape. Josiah, from Hogansville, in Georgia in the United States, said: ‘I was just completely in awe. ‘Since the eruptions were happing quite often I took turns watching them and taking it all in as well as trying to find a way to best capture them in my camera. 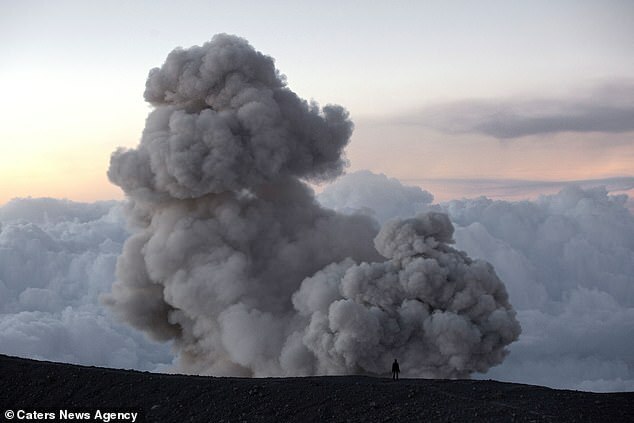 ‘The plumes were swiftly changing shapes as the smoke rising seemed to be traveling at 1,000 kilometres per hour. ‘But the phallic cloud formation in the photo only lasted in the sky for less than a few seconds – no pun intended. Josiah said the incredible experience left him feeling humbled and lucky to have witnessed such a spectacle – but it didn’t bypass his sense of humour.